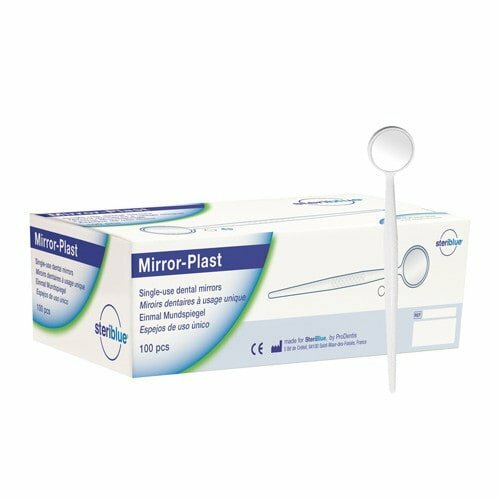 Mirrorplast dental mirrors from SteriBlue are non-sterile, disposable dental mirrors using a real glass mirror. 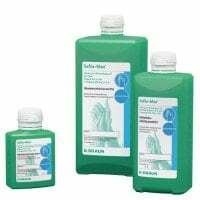 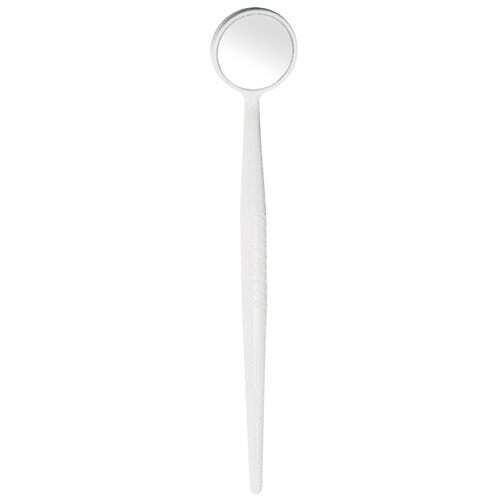 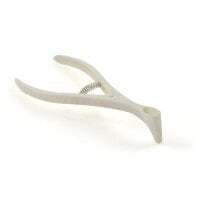 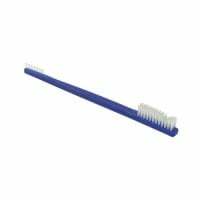 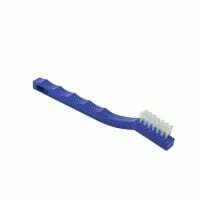 The dental mirror can be gripped securely without slipping even with gloves thanks to its ribbed plastic handle. 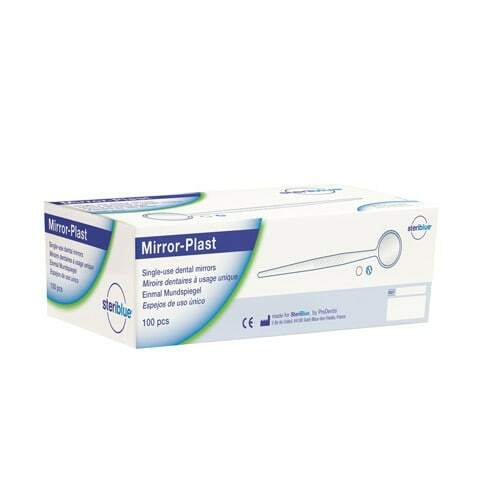 The Mirrorplast dental mirror is available in classic white as well as in mixed colours (green, blue, red, blue).